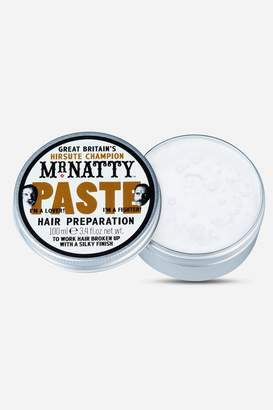 Mr Nattyâ€™s Paste Hair Preparation is just for the fella who likes a smooth, slick finish. With a hint of aniseed it sports a subtle scent to go with its considered sheen. If youâ€™re looking for a loose hold which allows your fingers (or somebody elseâ€™s) to run through it easily while still keeping it tidy through the day, then stay on this page. For reasons of hygiene this product cannot be returned if unwrapped, unsealed or used, unless faulty.